Residents from Marsden, South Shields have this week opened their newly refurbished homes to show-off energy efficiency improvements and renewable energy technologies, installed as part of a collaborative £1.9m European Regional Development Funded (ERDF) Project. A total of 136 ‘Tarran Newland’ – non-traditional construction – socially rented, post-war properties, managed by South Tyneside Homes are planned for improvements in South Shields. To date, 51 homes have been fitted with PV panels, loft and external wall insulation, and energy efficiency boilers as part of measures which are estimated to deliver heating savings of up to £800 per year and electricity bill savings of £200 per year for residents. Lincoln Road and Marsden Lane in South Shields is one of three areas benefitting from the ERDF project being managed by the National Renewable Energy Centre. 3 high-rise blocks of flats in Jarrow, Tyne and Wear and 54 Homes for Northumberland properties, in Blyth, Northumberland have also been selected for energy efficiency improvements and are being fitted with solid wall insulation, smart meters and secondary heat exchangers. The project aims to lift local residents out of fuel poverty, while reducing carbon emissions and improving the quality of life of residents. The effectiveness of modifications and their impacts on the behaviour of residents such as the energy required to heat a home to an adequate level and the number of residents lifted out of fuel poverty are being monitored and the data analysed by the National Renewable Energy Centre (Narec). This greater understanding will help to inform future improvements in relation to the performance and utilisation of low carbon, innovative energy products as well as how best to apply low carbon products in socially rented prefabricated properties. As part of the project local businesses are also being given the opportunity to visit the properties so they can see first-hand the houses at various stages of development and improvements being made. It is hoped that this will help to generate a greater understanding of new technologies and their application and encourage more businesses to expand or diversify into the microgeneration and low carbon technology market. The project will benefit from £1.9m of investment from the European Regional Development Fund (ERDF), managed by the Department for Communities and Local Government. The ERDF Competitiveness Programme 2007-2013 is bringing over £300m into the North East to support innovation, enterprise and business support across the region. The National Renewable Energy Centre (Narec) is working in collaboration with South Tyneside Homes and Homes for Northumberland to make energy efficiency housing improvements in over 300 socially rented hard-to-treat properties. The total value of the investment which includes ERDF and match funding provided by South Tyneside Homes and Homes for Northumberland is £3.83m. The ERDF funding received was to install low carbon and renewable energy technologies and systems into selected properties helping to improve the housing stock in the region and regenerate off-gas or non-traditional construction properties. The impacts of the interventions are also being monitored and analysed as part of the project. Delivery of capacity building and skills activity with SMEs. The analysis of the data collection and reports on the impacts of the interventions will be published in the pre-works report on the 31st August 2012. South Tyneside Homes (STH) is an arms-length management organisation (ALMO) which manages the housing service on behalf of South Tyneside Council. STH manages 18,949 homes through a Board that is made up of four tenants, four council nominees and four independents. The day-to-day running of the company is delegated to a senior management team, headed by a Chief Executive. It manages the Council’s Housing Revenue Account budget of £45.5m and £14.7m capital programme budget. It receives an annual management fee of £9.2m to manage homes on behalf of the Council. STH are part of the ERDF Social Housing Energy Management project consortium with Homes for Northumberland and Narec. Homes for Northumberland manage Council housing stock in the former Blyth Valley Housing and Alnwick District Council areas. Homes for Northumberland manage homes on behalf of Northumberland County Council under the terms of a formal Management Agreement. This agreement sets out the functions and the standards of service that are to be provided. Tenants and leaseholders living in the homes which the company manages are tenants or leaseholders of the Council. 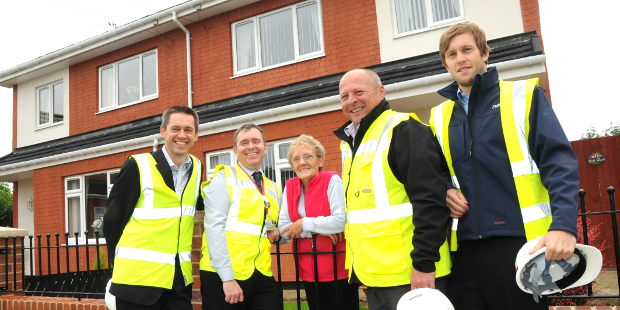 Homes for Northumberland are part of the ERDF Social Housing Energy Management project consortium with South Tyneside Homes and Narec. For further information please contact Helen Edge, Marketing Executive, Narec. Narec has formed a consortium with South Tyneside Homes and Homes for Northumberland to deliver this project. The project, supported by Newcastle Science City and Newcastle City Council, received funding from the European Regional Development Fund (ERDF) to develop transferable skills in microgeneration to ensure local jobs are created and sustained in green economy. Narec Distributed Energy, part of the UK’s National Renewable Energy Centre, in partnership with Newcastle Warm Zone managed and delivered the training to skilled and semi-skilled unemployed technicians interested in up-skilling, diversifying and gaining knowledge of new microrenewable technology systems. This project complements and coordinates renewable energy activities across the city to ensure we take advantage of the new opportunities arising in this area. Narec is providing energy master planning to Newcastle City Council to develop and agree a sustainable energy action plan and a citywide climate change strategy, to deliver regeneration and help drive forward the delivery of low carbon and affordable energy schemes. At Narec Distributed Energy we have now launched our own website. We are part of the UK’s National Renewable Energy Centre, a world leading centre for all renewable and low carbon technologies. This website is dedicated to the substantial work which Narec Distributed Energy carry out in renewable and low carbon technologies, particularly in the built environment. We carry out a range of services on a range of different renewable and low carbon technologies, using our dedicated team within Narec Distributed Energy, and also using staff from the wider National Renewable Energy Centre. A Renewable Energy MSc student working with Narec Distributed Energy and Newcastle University has installed a system on a Sterna Carrier cargo ship to measure levels of energy photovoltaics can gain from reflect light from the sea. Matt Pitt has designed, built and install the systems as part of his Renewable Energy MSc project at the University of Newcastle. The system includes pv modules on either side of the ship, and a horizontal module with pyronometer at the top of the ship. 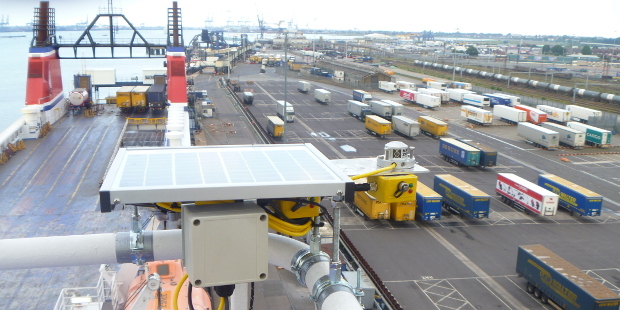 The system is installed on a Sterna Carrier which sails from Harwich to Rotterdam twice daily. This work will give valuable data and understanding for work which Narec Distributed Energy and Newcastle University are currently undertaking for systems on low carbon cargo ships, including the FP7 funded project Inomanship. Three major algae biofuel projects have been launched by the European Union as part of the Algae Cluster this May. 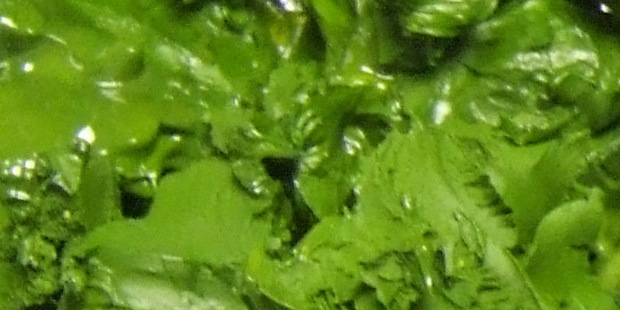 Each of them intends to build a 10ha (25 acre) facility to produce biofuel from algae in different ways. These will be the largest algae biofuel facilities in Europe. 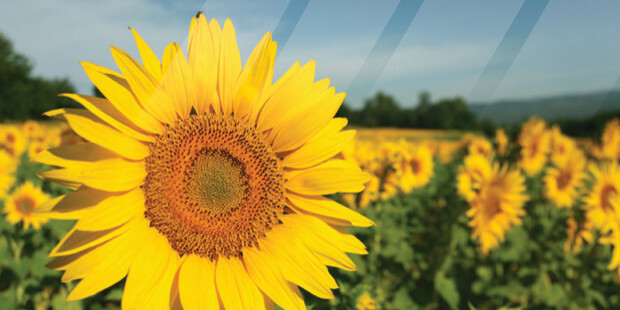 The particular project Narec Distributed Energy is involved in is called InteSusAl, the full name of which is “Demonstration of integrated and sustainable cultivation with biodiesel validation”. The project will run until the 31st of October 2015. The InteSusAl project will optimise the whole microalgae production chain to achieve algae cultivation targets of 90- 120 dry tonnes per hectare per annum. The project will use the glycerine by-product from biodiesel to feed the heterotrophic system, which will allow maximum recovery of carbon from the glycerine while producing algal oil for use in further biodiesel production. The partners expect to demonstrate a virtually closed loop system for carbon usage. Life-Cycle Assessment will be used during the design phase to guide the best overall options to maximise sustainability, as well as to compare the InteSusAl approach with other algae projects, fossil fuels and biofuels.